Both CARA and RnR kept in close contact with Marcia and me in the weeks leading up to the event. RnR provided some really nice swag, which arrived the day before the event--that made us a little nervous! 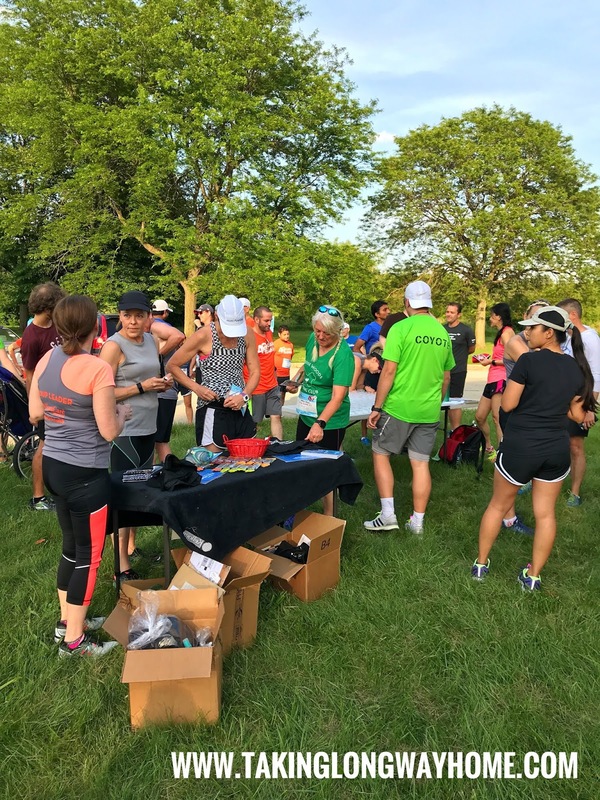 But between the swag and the one-day-only race entry fee sale, RnR was a hit at our GRD event! We arrived about 30 minutes before the event to set up our swag table. RnR sent us hats, buffs, cooling towels, lip balm, and SIS Isotonic Energy Supplements. SIS is a sponsor of RnR and Ironman. I had never heard of this product, but I'm intrigued. SIS is an energy gel that is taken without water. I will have a product review in a few weeks. 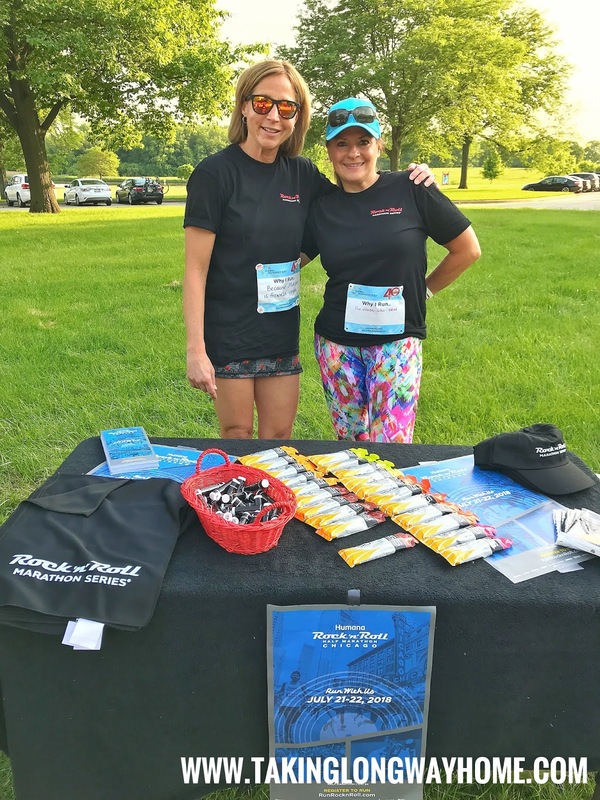 We talked with a lot of runners prior to the event and many of them picked up the RnR literature. The running club is planning to do RnR Nashville in Spring 2019 and many of the runners were excited to hear about the one day discount! 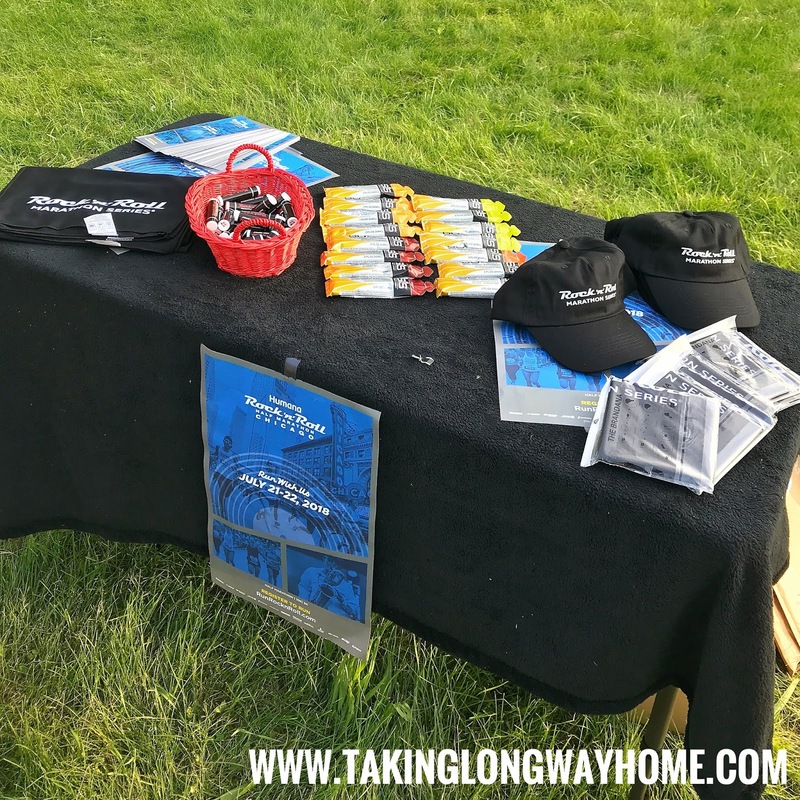 A couple of runners told us how excited they were for the freebies we were handing out! "I love swag! 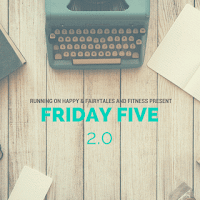 ", one runner exclaimed. At 6:35, the CARA representative, Nick, got everyone together to discuss logistics. He introduced the president of the Busse Woods Running Club and then introduced Marcia and me. There was a headcount--over 50 runners were there! Everyone posed for a group photo. While we waited for the runners to return, we talked with Nick a bit--he's a running coach. It wasn't long before the first runners came back for ice cream and to retrieve more swag. We had so much stuff that we weren't able to give everything away. Fortunately, we have been able to recruit some of our blogging friends to join us for RnR Chicago and we'll be sharing our bounty with them! For my part, I didn't mind not running in the event. Knowing I was representing RnR at this event, I ran earlier in the day. It was especially fun to see one of the nurses I used to work with at my former clinic. 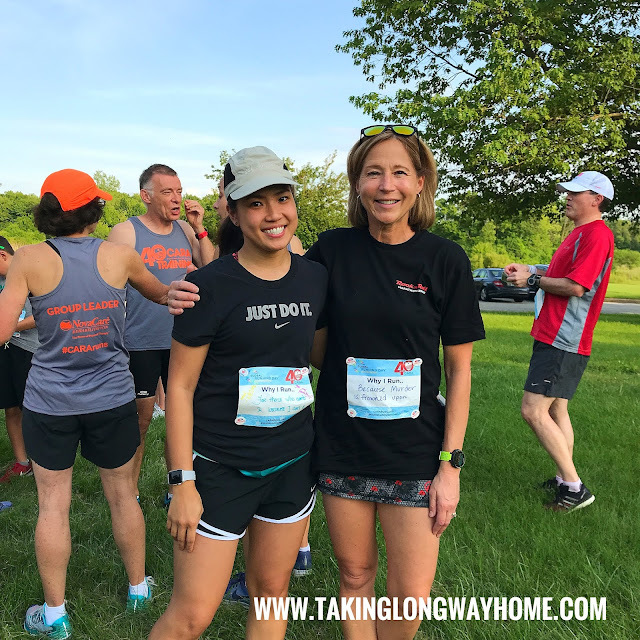 She's a new runner and is training for the Chicago Marathon! You can follow her progress on IG @runningstepz. Global Running Day started about 5 years ago as National Running Day to celebrate running and get people moving. It's really exciting to see how quickly the event has grown. CARA reports that they had about 400 runners participating at all of the sites. This was a great experience for both Marcia and me. I really enjoyed meeting and talking with the runners. I feel so fortunate to be a part of such an amazing community. 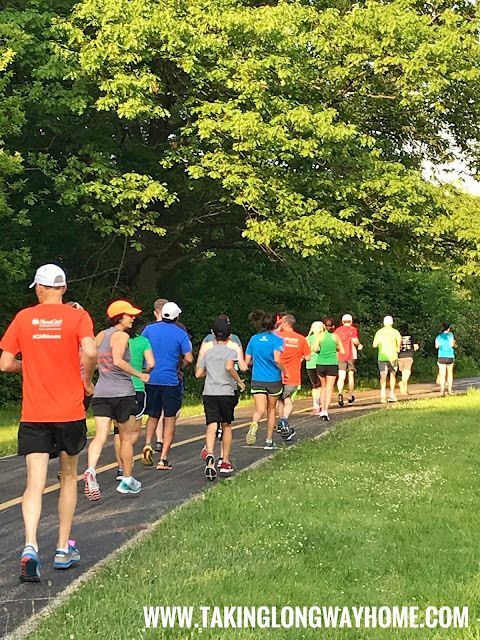 Did you run for Global Running Day? Did you participate in a group event for Global Running Day? Did you take advantage of any deals-race entry or otherwise? 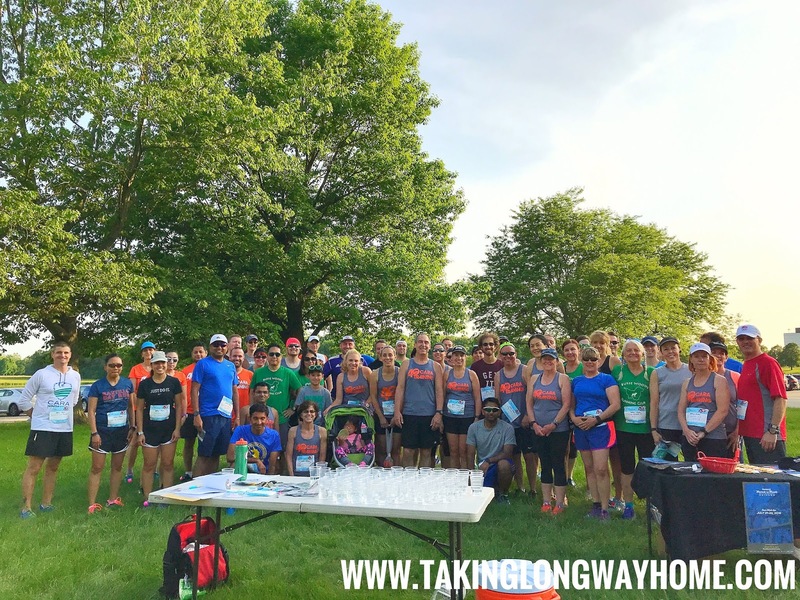 Are you planning to run RnR Chicago? 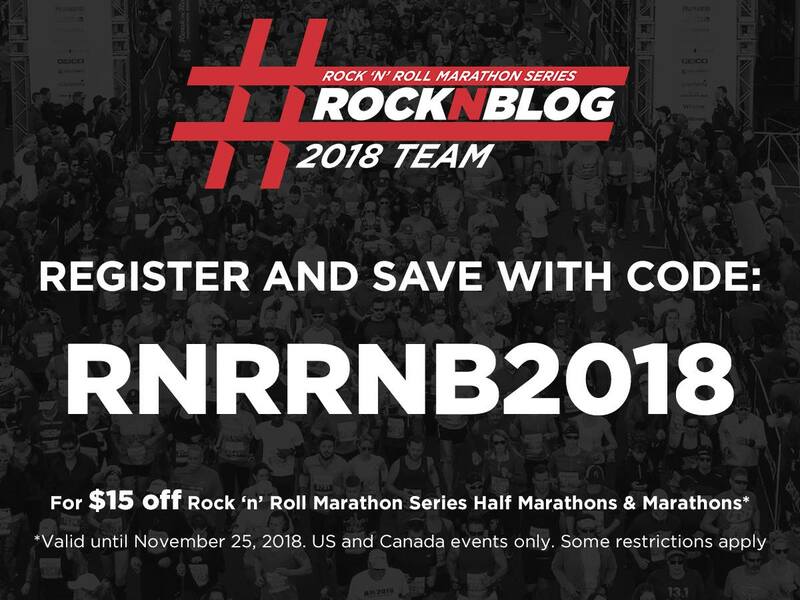 If you missed out on Rock'N'Roll Marathon Series Global Running Day deals, you can still get $15 off on any race using the code below. Don't miss out! Special thanks to the Chicago Area Runners Association for allowing us to participate in this event, and to Rock 'N' Roll Marathon Series for providing us with incredible goodies to hand out to the runners! I'm linking this post with Fairytales and Fitness and Running on Happy for the Friday 5! Ah, SIS was the first gels I used and I still like them, they're just slightly larger for the calories than GU and Torq, so harder to carry. But I find they go down really well and really don't need extra glugs of water which the thicker ones do. I hope you enjoy them. Orange was my favourite. Looks like a lovely event, too. I managed to run either side of it but not on the day - well done, me! We were thinking SIS gels were from the UK! Glad to hear that you like them. Sounds like a fun time! I'm curious to hear what you think about SIS - I'm still trying to find the ideal fuel for my temperamental tummy. I didn't run on Global Running Day. I'd already run Monday & Tuesday. But I did sign up for a half. :) In 2019, no less! I'm excited but between Gizmo & my parents, it's always a question mark. Wow! I can't plan that far in the future--with my health, it's always a crapshoot. Planning something like this was completely out of my wheelhouse but I couldn't be happier with the way it turned out! 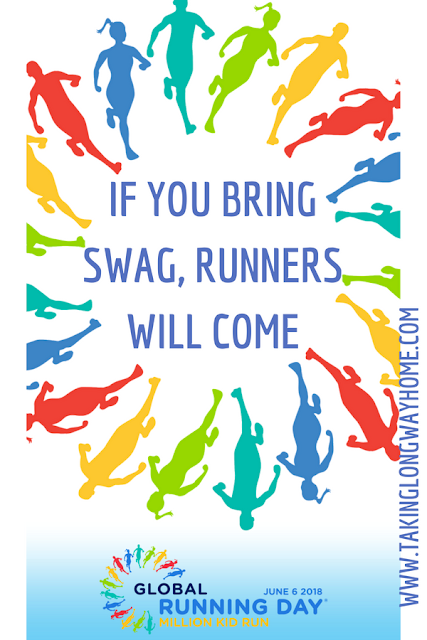 Swag is every runner's friend! Ha! We did a great job--teamwork is the dreamwork, right? Look at all the new things we're doing. Live feeds...events...what will be next? Looks like such a fun time! I did run on Global Running Day, but I ran alone. I really miss having someone to run with-gonna have to look for a running buddy soon! I can't wait to hear more about SIS! I'm glad you got out and ran! 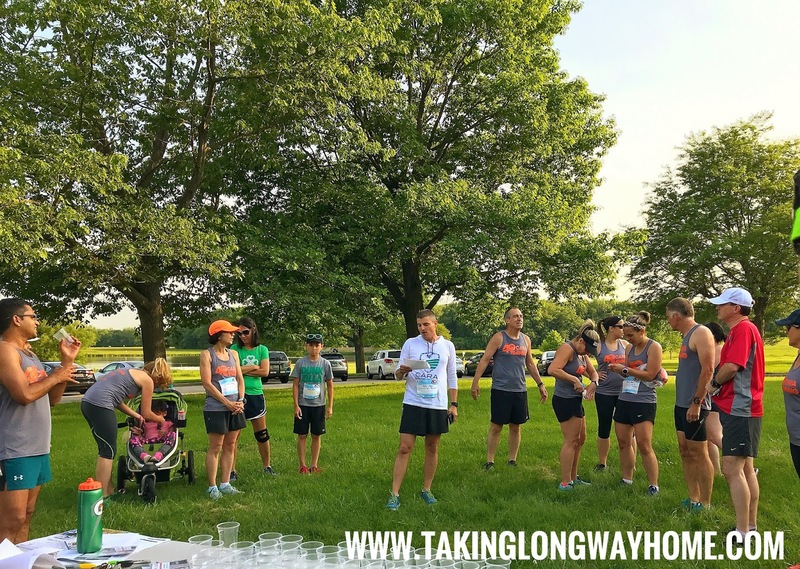 I still like to run alone but I'm definitely open to a group event like this. Congrats on a well organized run! Do you think you gals will organize a race someday? I have not heard of SIS, I'll be curious what you think of it. Glad your event was such a success! I'm glad I got my GRD celebration done early in the morning because our weather turned ugly 12 hours later. RnR CHI is gonna rock!! Yep, it's going to be fun! What a fun event! I love that RnR sponsored it and it definitely a success. They handed out SIS at RnR San Diego but I didn’t try it. The whole “nothing new” thing you know. I’ll have to give it a try though. Sounds interesting. I figure I've got nothing to lose by trying SIS on a long run. The portapotties are all along my routes. Stay tuned! I was the DC race ambassador for RnR a few years ago (they used to do it differently) and organized an event like this. I was so nervous that no one would come but they did and it was a blast. People love free stuff! You are so right! It was really a huge success. What a cool way to be a part of an event even if you are not running it. I bet you got joy out of seeing how happy everyone was to be there (and collect the swag too)! The best thing was that the runners weren't expecting us--they thought it was just a CARA event. So it was fun to see how happy they were to get the freebies. What a fun event - it's really cool that RnR had so much swag for you guys to hand out. I ran on GRD but just with my regular running buddy; there were no group events in our area. We were happily overwhelmed by everything they sent us! Swag is one of my favorite parts of races haha. I didn't run for global running day, it landed on a strength training day for me, which is a little lame, but I think it still counts haha. Sounds like a great time! Any one will come for some sweet swag! 9+ weeks and counting since my last run (when I sprained my ankle.) I've been walking (still with pain) but missing Global Running Day really made me sad! Sprains are the worst. They take forever to heal and then they can recur so easily. I sure hope you're back on the road soon. This is a first for me. I had no idea it would take this long! I admit to being a little nervous when I do start running again. Free swag is always fun. I won a water bottle at the Bay to Breakers expo. I ended up not doing anything on Wednesday, not even getting outside for a walk. It's gotten hot here this week, and no shade in the neighborhood makes it difficult. You'll just have to get up extra early like the rest of us! I am curious about SIS. I ran early in the morning too and then had to go to a professional development. I think I was napping when you guys were at Busse Woods. I won’t be running RnR Chicago but plan to spectate. You should have joined us! It was fun. Aww, glad you had a fun time! :] It looks like it was really well-organized, and I like that quote by Yeats! That quote really sums up runners! Oh, you'll find a way! I cannot wait! nice! glad you guys were able to participate in GRD for Rock'n'Roll! I have used SiS gels for years, only recently switched to High5 (sponsor for RnR at Liverpool/Dublin). Marcia and I figured the SIS gels were European, so I'm glad to have you weigh in on them. Did you like them? It sounds like it was a fun event and something different sponsored by RnR. During my couple of years as a Rock n Blogger, I was never asked to help with such an event, and I certainly would have loved to. That sounds like a fun event! This was the first year that I didn't organize or join in on or an event for Global Running Day (I was out of town).